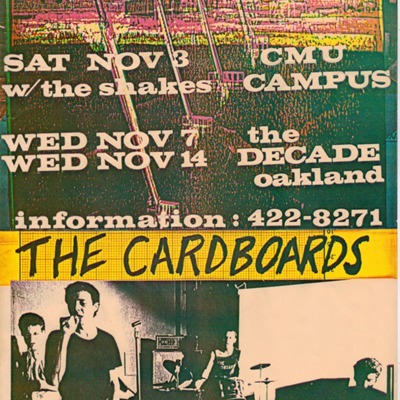 Poster for the Cardboards and the Shakes performing on CMU campus and at The Decade in the Oakland neighborhood of Pittsburgh. The top two thirds of the poster have a multicolor, streaky background in green, pink, yellow, and blue. 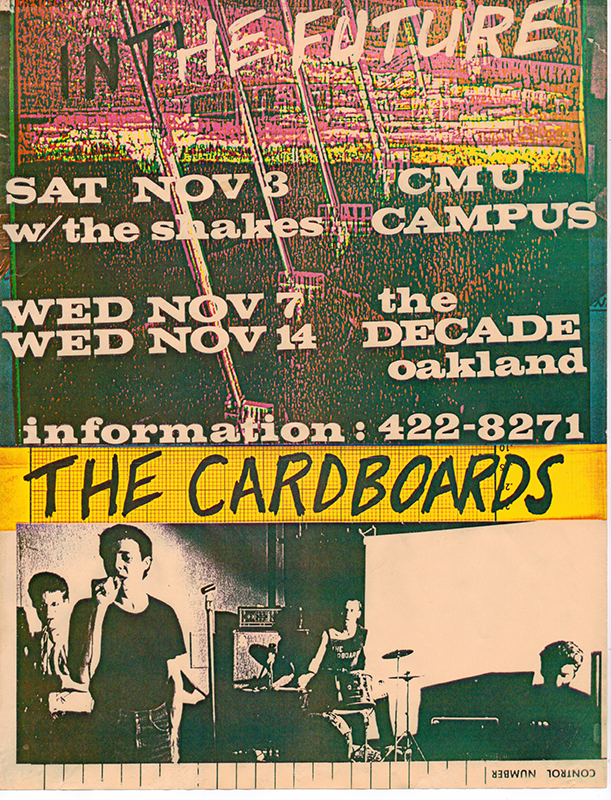 The bottom third contains a black and white image of the Cardboards playing. in the middle is a yellow strip bearing the band's name. 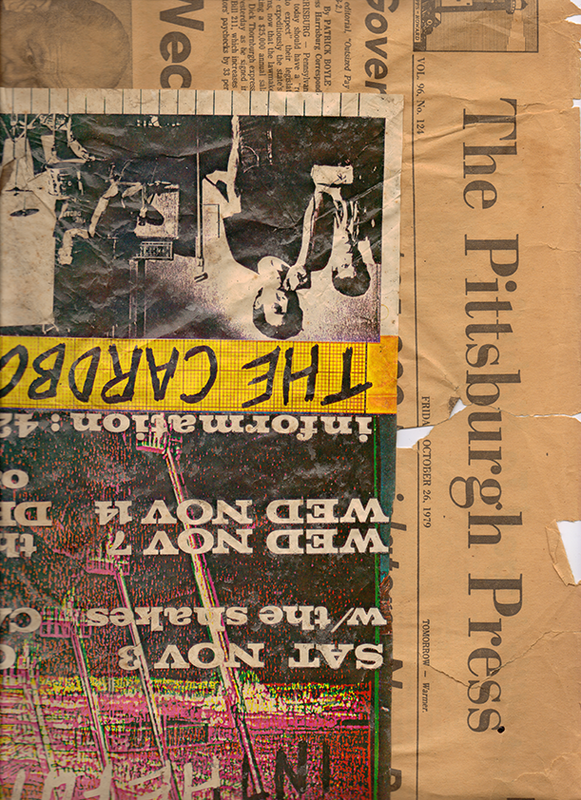 A secondary scan of the poster shows the event year, 1979, in the heading of an issue of The Pittsburgh Press. This item is presented courtesy of Harriet Stein for research and educational purposes. Images and text may not be distributed or republished without permission from the Pittsburgh Queer History Project. 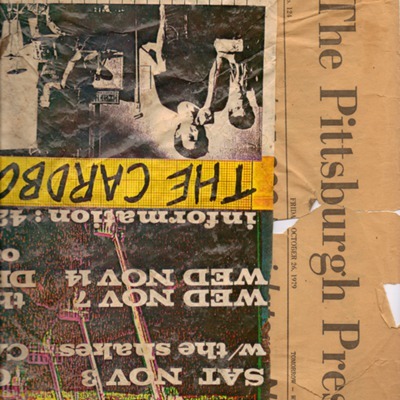 “Poster for the Cardboards and the Shakes Performing in the Oakland Neighborhood of Pittsburgh,” PQHP Online Archives, accessed April 22, 2019, http://pittsburghqueerhistory.com/omeka/items/show/1339.